And so it might be nice to have ‘two for the price of one.’ Or perhaps you are a young couple dreaming of everything in pairs or just wishing for the novelty of a matching set of babies. 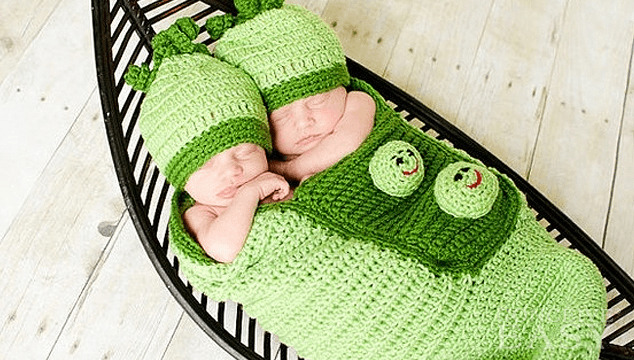 There are many ways that you can increase your chances of having twins. The majority of twins conceived are fraternal, that is the result of two separate eggs being ovulated and released at the same time. The conception of identical twins is very rare, but it happens when one egg splits. That usually happens early on in pregnancies, and either set of twins makes the new parents undeniably happy. Two for the price of one, so to speak. What is % chance of twins? About every 1 in 89 childbirths will result in twins, those chances aren’t that bad. But they can definitely be increased, if the couple is sure they absolutely want twins. Then there are fertility medications or you can even undergo in-vitro fertilization. Most of the times, these treatments definitely usually result in the conception of twin babies. But if you don’t necessarily want to take drugs or go that route, then there are natural things that the couple can do as well. When you are thinking about becoming pregnant and are definitely sure that you want twins, then you should begin taking a folic acid supplement. It has been recorded by one Australian study if you take folic acid while trying to conceive, you are 40% more likely to have twins. This particular method has worked for many women who want to conceive twins. And while trying to become pregnant you should always take a supplement or vitamin. If you want to have twins, then you should eat more than usual and try to gain weight. It has also been proven that women who are slightly overweight have a greater chance of bearing twins. That study was in an 2005 edition of a very popular pregnancy magazine. Women who are taller also have a greater chance of being able to conceive twins. Though you aren’t able to change or increase your height, you can definitely change and increase your weight. You should also try eating more dairy products, such as cheeses and yogurts. A study has shown that women who consume these products on a regular basis are usually five times more likely to have twins at birth. Drinking milk that is treated with the rBST growth hormone treated cows is what usually helps women have twins. So diet is very important when trying to pregnant. If you want to try IVF treatments or fertility drugs then you definitely can. You and your OBGYN can work out the best possible option for you. Or you could try the natural route and take more supplements and eat more dairy products. Whether you get pregnant with one or two, pregnancy and birth is a blessing. So enjoy the fruits of your labor!